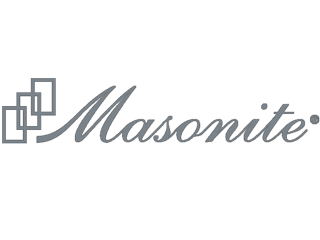 Florida-based Masonite International Corporation was founded in the 1920s when inventor William H. Mason discovered an effective way to create high-density fiberboard from wood chips. Since its origin, Masonite as a company has been through many changes, emerging as a world leader in residential door manufacturing. 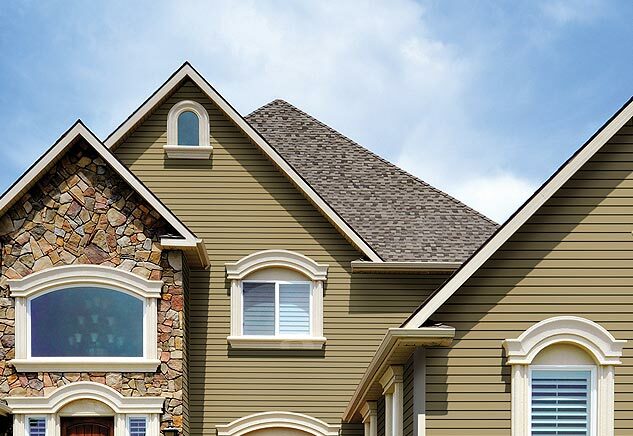 Born through innovation, Masonite creates quality, cutting-edge products. It runs one of the largest research and development facilities in the industry, applying the findings to improve manufacturing processes and materials. 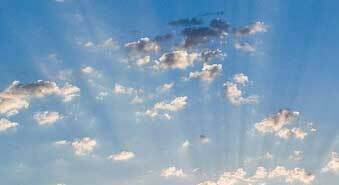 Masonite practices environmental stewardship in its sourcing and manufacturing. The variety of Masonite® entry, patio, and interior doors is amazing - perhaps the greatest number of styles and options on the market. 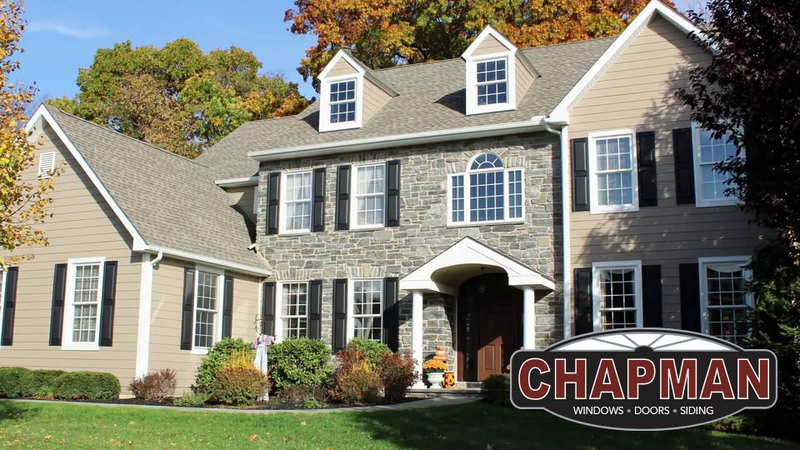 And, with core values that include integrity, customer commitment, innovation, and teamwork, it is an easy company for Chapman Windows Doors & Siding to work with. 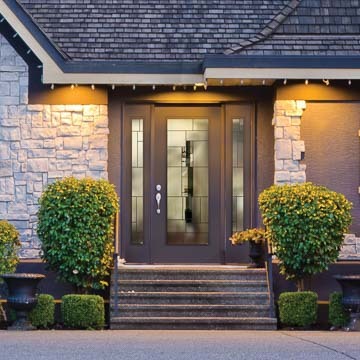 Masonite's product portfolio includes fiberglass and steel entry doors; fiberglass or steel patio doors, hollow or solid core composite material barn style or hinged interior doors, french glass doors, and louvered doors. 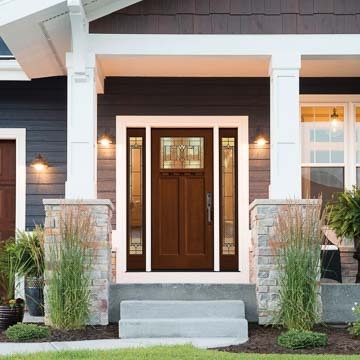 Fiberglass entry doors are available in three collections – Barrington, Belleville, and Oakcraft – that together represent over 400 individual door styles. The VistaGrandeTM series, designed with a wider viewing area, adds an additional 39 doors. 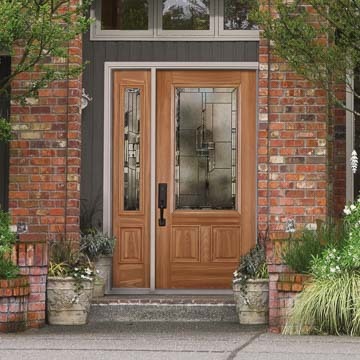 These attractive doors offer the durability and low maintenance of fiberglass with the look of smooth or textured wood. Almost any panel style, divider, or glazing option you can imagine is represented here. Masonite has over 260 configurations of steel doors. Masonite HD Steel doors use high definition panels to add architectural detail in a smooth-finished, primed, front or side entry door. They are available with wood or steel edges. Masonite STA-TRU® steel doors are provided in prefinished white. 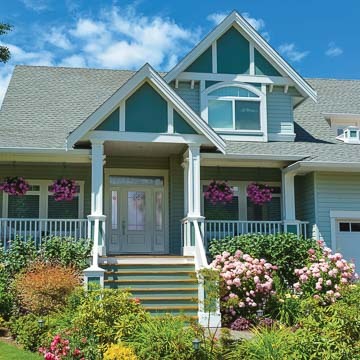 All doors have an energy-saving polyurethane core, and are created with materials and manufacturing processes designed to resist rust, scratching and other potential damage. Masonite offers three glass patio doors with fiberglass construction and one HD Steel patio door. The Belleville fiberglass patio door is available in smooth or textured material using designer or standard glass. The Masonite HD Steel patio door provides the additional security of steel. It is available in a primed finish with designer glass. All doors can be configured with up to four panels and you can also add vented side lites. Masonite's extensive collection of wood and composite interior doors includes molded panel doors with many styles available as single passage doors or bifold doors. Wood panel doors with mortise and tennon joinery are also offered. Design and size options abound, and some doors are available with Masonite's Safe N Sound® noise reducing solid core construction. Masonite's interior wooden French doors come in stained wood or primed Medium Density Fiberboard (MDF). Eighteen options within the interior French doors are available to divide your home with style. Masonite's louvered doors in wood or MDF are ideal for applications where a closing door and ventilation are needed (for example, closet or pantry doors). Masonite also offers six hardboard and wood veneer flush doors available as hollow core or solid core. Masonite doors have extensive grid and divider options to help you find the right look for your home. 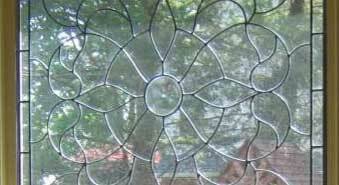 Options in glass include different glass textures, designs, and privacy ratings. Some glass is available with built-in mini blinds or integrated screens. 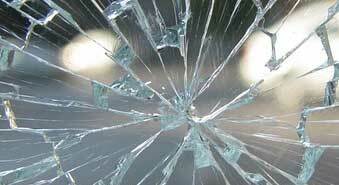 Energy saving glass selections help you meet your energy goals. Most products can be configured and installed to meet ENERGY STAR® criteria.